Malayalam actor Sangeetha Krish seems to be heading towards a bitter clash with her mother after she told the Tamil Nadu State Association for Women that her daughter abandoned her. Bengaluru: The domestic discord between actor Sangeetha Krish and her mother Bhanumathy Balan seems to have gone public now. The Malayalam actor recently took to Twitter to clarify the abandonment allegations levelled against her by her mother. The Gangotri star revealed on social media that her mother has been exploiting her for financial gains since she was 13-years-old. The actor, also known as Rasika in the South Indian film industry, also accused her of creating marital discord and shielding her 'alcoholic' brothers. She wrote: Thank u for all the false allegations & these latest accusations ,because knowingly or unknowingly u ve only made me evolve from a dumb kid to a fighter & now to a very mature , strong & a bold woman. The actor's mother had alleged that Sangeetha had abandoned her and approached the Tamil Nadu State Association for Women for the same. She also accused the actor of stealing her property. Following this, the actor and her playback singer husband, Krish, were asked to appear before the Mahila Court a couple of days ago. According to a report by In.com, sources from the industry have revealed that the house in question is in Valasaravakkam, Chennai. Bhanumathy stays on the ground floor while Sangeetha lives on the first floor. Though the property is in Sangeetha's name, she fears that Bhanumathy may take hold of the property by conniving with her brothers. 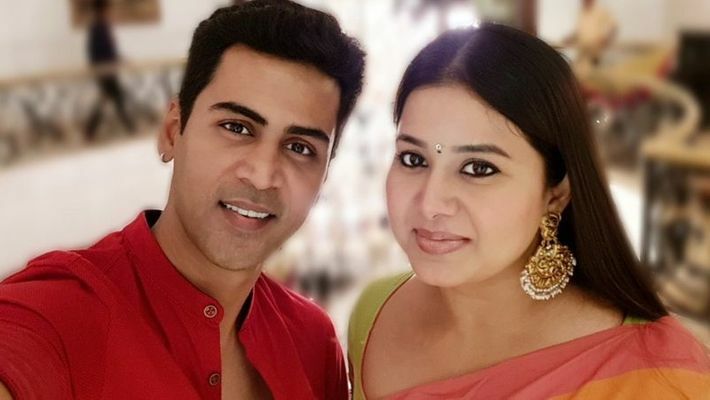 The controversy comes at a time when Sangeetha is set to make her comeback with Vijay Antony's Thamilarasan after her last outing on the silver screen in 2017 with the movie Neruppu Da. Ram Charan's Vinaya Vedha Ram: Another KGF in waiting?